This year, the retreat was held in Assumption Parish in Jacksonville, where there is a community of Servant Sisters of the Home of the Mother. Some of the families of the Home of the Mother who live in Jacksonville opened up their homes to other families from out of town. We were blessed with the presence of Father Rafael, who came all the way from Spain, along with other Servant Priests and Sisters from the Home of the Mother. The theme of the retreat was ¨The Family¨, as a way to prepare for the upcoming World Meeting of Families that will take place in Milan, led by Benedict XVI at the end of May and the beginning of June 2012. On Thursday, Thanksgiving Day, we had a typical Thanksgiving dinner. Father Henry gave the first talk about the family, work, and the parents´ role in the family. Brian Maes, a lay member of the Home, gave the talk on Friday about the woman as she is presented in the Book of Proverbs. The family was set forth as a celebration by Father Felix Lopez on Saturday; he also offered ideas on how to live Sunday well. Mass was celebrated every day, along with prayer, small-group meetings – where everyone participated with numerous ideas and questions – games for the kids, praying the Rosary, along with meetings and meals with everyone together. 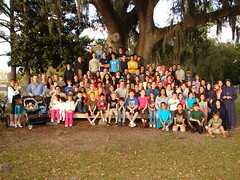 Since the retreat was held in Jacksonville, a lot of new families were able to come. 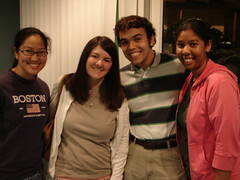 It was a great joy that more people could get to know about the Home. On Sunday, some people entered into the Home, scapulars were blessed, and a handful of children were consecrated to Our Lady. The consecration was a beautiful moment: there were not many babies for Father to consecrate, so he started to ask if there was anyone else who wanted, and slowly, some of the little kids came forward, and then even a few who were not so little – 17 or 18 years old – who also wanted to belong to Our Mother Mary. Everyone left in the end very happy and had learned a lot from the retreat. 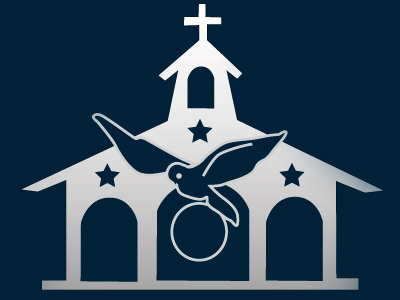 We hope that it continues to bear fruit for God´s great glory and for His Church and that it encourages them to form Catholic families built on Christ.